Iran’s New Year commenced on March 21, and it is off to a disturbing start for the Baha’is of that land. During this month, considerable hardships, harassment and violations of human and civil rights were brought against the beleaguered Baha’is of Iran. On condition of surety and bail, Adel Fanaian, Taher Eskandarian and Abbas Nurani were permitted a 4-day leave from Semnan’s prison, where they are completing their 6-month sentence. Because of this leave, the judge has now ordered that until further notice, these three Baha’is have been deprived of the privilege of meeting with their family face-to-face, and may only visit with them from behind the prison windows. Mrs. Sahba Rezvani, who is another Baha’i prisoner in Semnan, remains barred from customary leave. In Yazd, three agents of the Ministry of Intelligence raided the home of Behnam Rouhanifar’ after a thorough search of the residence, they confiscated his personal computer and a number of CDs. Mr. Rouhanifar is completing a 4-year suspended sentence. While parked, Payman Shadman’s automobile in Semnan was severely damaged by paint, and the word “Baha’i” was painted on its side. The place of work of Payman Shadman was vandalized by painting insults and threats against the Baha’is on its walls. These graffiti were reported to the police, who so far have taken no action whatsoever. After 70 days of solitary confinement during which he was held incommunicado, Jalayer Vahdat was given a 5-minute meeting with his mother at the prison of the Ministry of Intelligence. While coming out of her car near her sister’s residence, Miss Sahba Khademi was arrested by agents of the Ministry of Intelligence in Hamadan. She was released on bail 10 days later, on April 14. 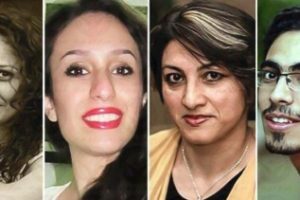 Three Baha’i residents of Mashhad, namely Nasrin Qadiri, Nahid Qadiri and Sima Rajabian, were summoned and interrogated by the Revolutionary Branch of the Ministry of Intelligence. They were released afterwards. Ali Ehsani, a Baha’i resident of Semnan, was summoned for interrogation by the Ministry of Intelligence and then arrested. Three Baha’i residents of Mashhad by the names of Kaviz Nuzdahi, Human Bakhtavar and Davar Nabilzadeh were called in by the Information Office of the town’s Revolutionary Court; after interrogation they were allowed to leave. Afshin Ahsanian, a resident of Shiraz, along with his father, was summoned to the Information Office of Shiraz, where the father was allowed to leave, but Afshin Ahsanian was arrested and remains incarcerated to this date. In the middle of night, windows at the home of Yahya Hedayati, a Baha’i resident of Semnan, were broken while the family was sleeping within. It appears this attack was made by unknown assailants on motorbikes. The same attack took place on two more occasions up to April 16. Police and security agencies have taken no action to respond to these attacks or search for the perpetrators. The homes of Sorour Sorourian, Samira Ayubi and Payman Aqdasi in Hamadan were searched by agents of the Ministry of Intelligence, and the above-mentioned Baha’is were arrested. 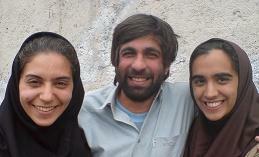 Three days later, these Baha’is were released on condition of bail. 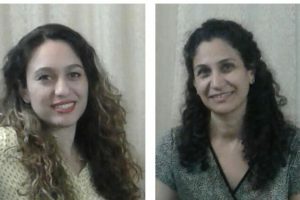 Three Baha’i residents of Mashhad, namely Ruzita Vaseqi, Nura Nabilzadeh, and Mahsa Aqdasizadeh were called in by the Revolutionary Court, which were questioned and released them. Some Baha’i websites were infiltrated by Iranian authorities. Agents of the Information Office of Babol raided the home of Mushafeq Samandari; after a search of the residence, they confiscated his computer, printer, scanner, CDs and some of his books. Mr. Samandari was arrested as well. Haleh Houshmandi, a Baha’i resident of Shiraz, who has been incarcerated since March 18, experienced an acute heart condition as a result of being deprived of her medications. Prison officials continue to prevent her from obtaining the necessary medications. Because of her health situation, the Prosecutor General of Shiraz issued an order for her release on condition of bail, but the Ministry of Intelligence has overruled this order and keeps Mrs. Houshmandi imprisoned. 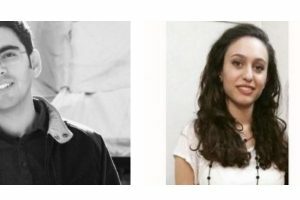 Three more Baha’is of Mashhad, namely Babak Ruhi, Suhayl Nasirzadeh and Ezzatu’llah Ahmadian, were summoned to the Information Office of the Revolutionary Court; after interrogation they were released. My heartfelt prayers To The Blessed Beauty for the friends.